The medical world is on the brink of a revolution thanks to new and future technology like Big Data health maps and bacteria scanners that can attach to smartphones. Power is shifting from the doctor to the patient, and self-treatment and self-diagnoses are becoming unprecedentedly powerful. 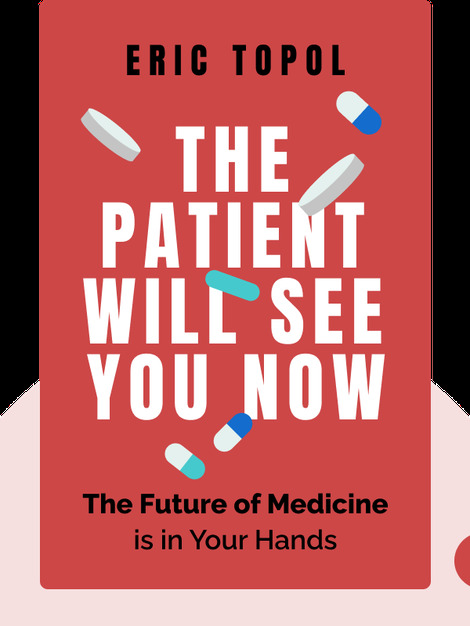 The Patient Will See You Now (2015) outlines these changes and what they mean for both you and the healthcare world. 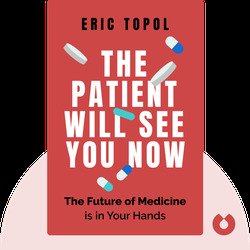 Eric J. Topol M.D. is a cardiologist, professor of genomics and the director of the Scripps Translational Science Institute. He previously served as chairman of cardiovascular medicine at the Cleveland Clinic and founded the Cleveland Clinic Lerner College of Medicine. He is the author of the best-selling book The Creative Destruction of Medicine.